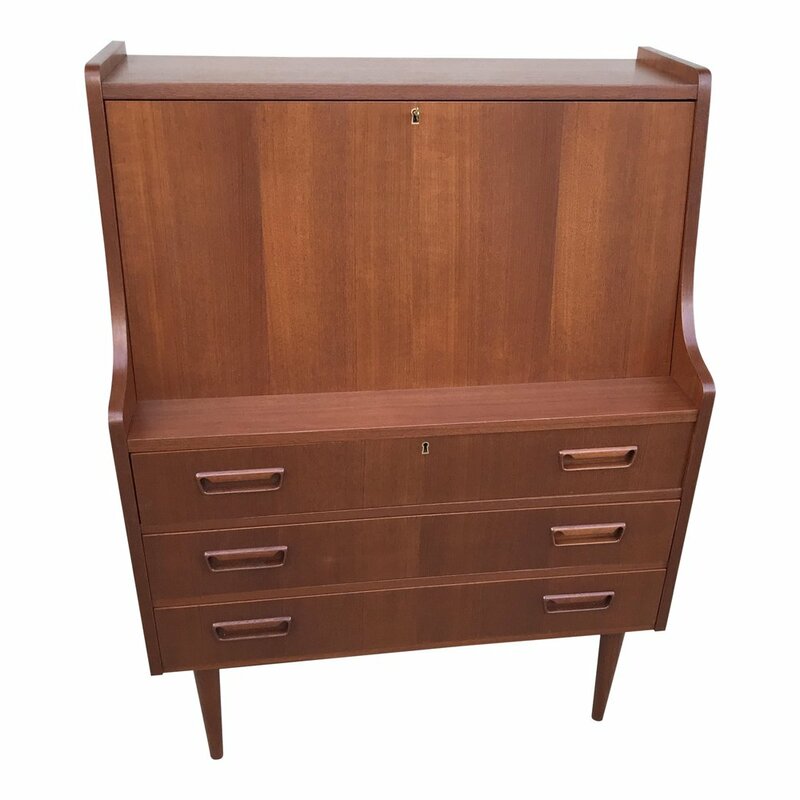 Vintage 70's Tibergaard Denmark teak drop front desk in excellent refinished condition. Clean Danish design with convenient size for small space. Measures 34" wide x 45" high x 18" deep. With drop front down desk is 29" deep. 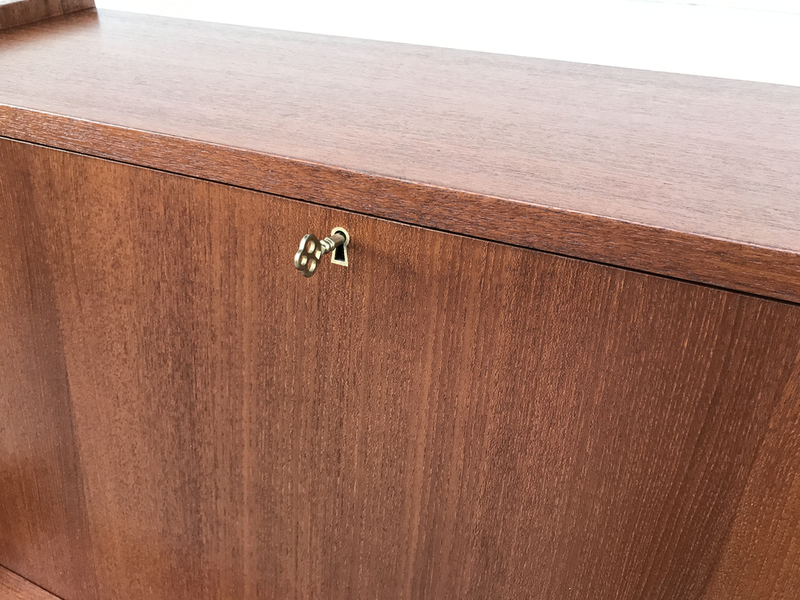 Working lock with key .